Nursing students are required in nursing school to take a medical surgical nursing class. In this class, the nursing student will learn the basics about different diseases that plague the majority of the population. There is a lot of material covered in a medical surgical nursing class and the student must develop good study skills in order to be successful in this course. Medical surgical nursing is a specialized area of nursing that provides nurses with knowledge of all areas of adult health. The nursing profession all started with medical surgical nursing. Nursing is an art and a science that is the foundation of the medical profession. Medical surgical nursing began in nursing wards many years ago. 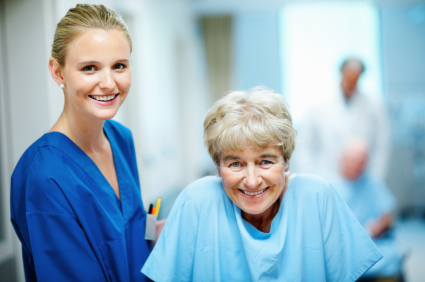 Medical surgical nursing covers a broad range of patient care. What once was an entry-level nursing position has evolved into a specialty area that provides all types of care for patients of all ages. Medical surgical nursing is the area of nursing that employs the largest number of nursing professionals. Once an entry-level position in nursing, medical surgical nursing has become a strong aspect of the nursing profession. Medical surgical nursing courses teach nursing professionals the skills they need to work in clinics, home health care, urgent care ambulatory care units, and skilled nursing homes—just to name a few. Nurses learn to care for the psychosocial and physical health of their patients. Medical surgical nursing courses help nurses to handle a wide range of health-related care. Nurses are prepared to handle several patients in a single day’s work. They must be prepared to diagnose and treat several patients in a timely fashion. Nurses must also have the ability to multi-task so that they can provide care that is suitable for patients of all ages. Nurses also use medical surgical nursing to educate patients, families, and other medical professionals regarding the latest advancements in the healthcare field. They help patients determine the best medical-related options that are safe and effective since the patient’s needs are the top priority. Nurses must also provide patients with a high level of comfort as they make life-changing decisions about their health. They use their medical surgical nursing skills to diagnose and treat patients using a variety of treatment options based on their individual health needs. Perhaps the greatest task that these nurses have is managing the diagnosis and treatment of patients with health issues that span across all medical specialties. These nurses can gain employment in diverse settings due to their exceptional level of skill. The skills learned in medical surgical nursing courses make the nurses the most sought after nurses in their profession. They are trained to handle any medical issue that their patients may have. As mentioned above, nursing students who take this nursing class find out that a lot of material is covered in a short amount of time. Students are ususally tested by their professor on 5-10 chapters at a time. In order to be able to filter through the material that you will be tested on, you will need to get a good study guide to help you do this. Studying for medical surgical nursing can be quite a task. There is an abundance of information to learn in a very short amount of time so nursing students must plan accordingly. Here are a few helpful tips that can help nursing students study for their exam. Make notes from the chapter. Nursing students should read the textbook several times and highlight important information. After highlighting the information, students should make a new set of notes that they can use to study along with the notes from the lecture. Make sure that the chapter objectives are answered in the notes taken. Invest in a medical surgical nursing review guide. 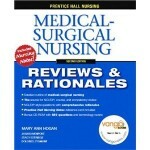 Review guides are one of the best ways to prepare for the medical surgical nursing examinations. This tool provides a great source of supplemental information that nursing students can use to enhance their learning experiences. The review guide provides a strong foundation that lets students know exactly what they need to learn from the medical surgical nursing course. Teach the materials to others in a study group. Auditory and visual learners learn best from this method of studying. Teaching the information to others can help nursing students gain a firm grasp of the content while helping others do the same. Each group member can take turns teaching the information until they all gain a firm grasp of the content. Compare notes with others. Each nursing student can sit in the same class and learn very different things. Find a group of dependable nursing students to study with and compare notes with each other. Comparing notes can help students learn new information that can help them to be successful in their medical surgical nursing course. Medical surgical nursing provides nurses with a strong foundation that is necessary to become a successful nurse working in any setting. Nursing students are prepared to diagnose and treat a vast number of medical conditions due to the specialized nature of this course. Medical surgical nursing teaches nurses to care for the whole patient and not just provide care for one specific area of concern.